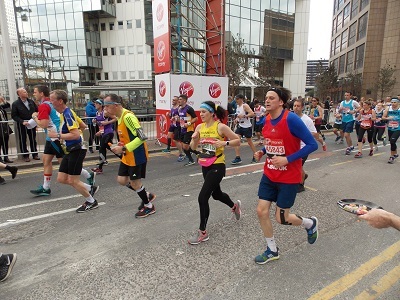 It was expected over 40,000 runners were to attempt the London Marathon and from early morning, thousands descended on the Isle of Dogs to get in place to support their runners in the field. Marathon day is quite a surreal occasion with lots of people visiting the Island for the first time and generally getting lost in the often confusing layout. 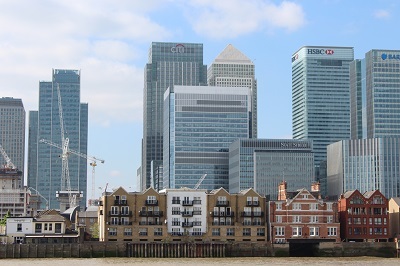 This is especially the case around Canary Wharf with the massive building works complicating the matters considerably. 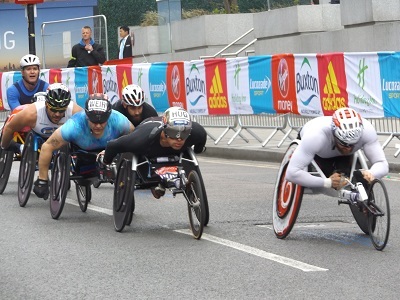 The Marathon on the Isle of Dogs begins with the arrival of the Male wheelchair races, the closely packed field raced around the Island with Britain’s David Weir and reigning champion Marcel Hug in the leading pack. Weir managed to win the race beating Hug and Rafael Botello Jimenez in third. Next was the Women wheelchair race with Swiss Manuela Schar eventually beating American’s Amanda McGrory and Susannah Scaroni . 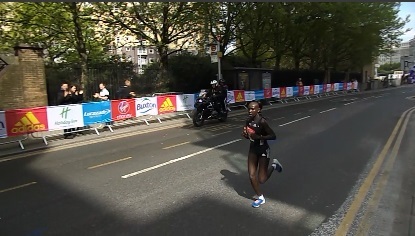 One of the most remarkable races was the Elite women’s race with Kenya’s Mary Keitany having a long lead when she reached the Island and finishing with a World Record of 02:17:01, Tirunesh Dibaba and Aselefech Mergia of Ethiopia finished second and third. 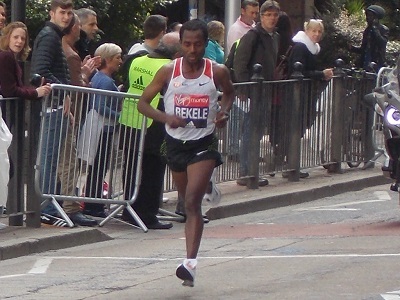 There was a surprise in the men’s elite race with Kenyan Daniel Wanjiru beating track legend Kenenisa Bekele of Ethiopia with fellow Kenyan Bedan Karoki finishing his first marathon in third. 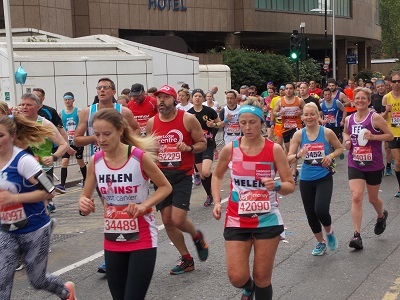 The elite races are just one part of the marathon day with thousands of club athletes, fun runners, charity fundraisers, celebrities, politicians and fancy dress costume wearers pounding their way around the Island. Coming between the 15 and 18 mile points, the Island is not a popular spot for many marathon runners who begin to struggle at these particular points. 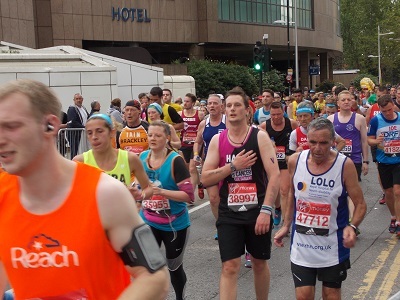 However because the crowds are not quite so big, this section is popular for families and friends to congregate to shout encouragement to their particular runners. 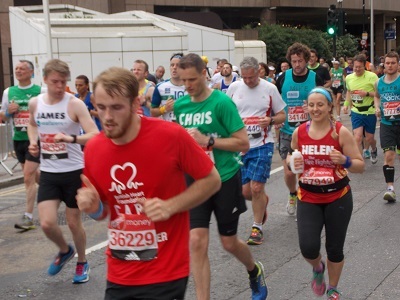 In 2016, the London Marathon raised £59.4 million for charity and many of the runners will have personal reasons for facing the gruelling distance. Local Islanders have supported the Marathon since its beginning and still turn out in numbers to cheer on the runners on their way. 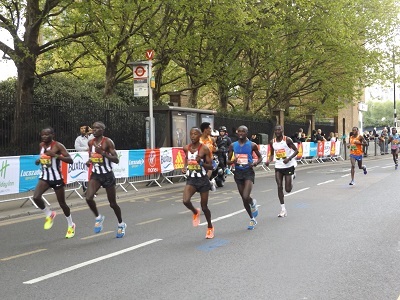 Congratulations to all those involved in putting on and taking part in one of London’s premier events which is watched live by millions and has a massive global audience. 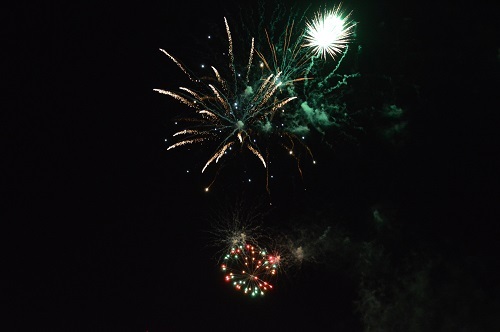 One of the popular aspects of the Tall Ships Festival is the evening firework displays, even from the top of the Island they looked more spectacular than normal this year. 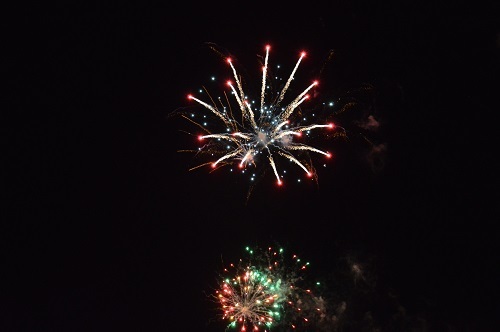 Fortunately, regular contributor L. Katiyo was on hand to get some photographs of the evening’s display. The Tall Ship Festivals are a wonderful celebration of all things maritime and are enjoyed by hundreds of thousands of people over the four days. We are fortunate on the Island to be surrounded on three sides by the Thames which gives us wonderful views of the various maritime events. The river seemed very quiet after the last few days and we can now look forward to the next event. Congratulations to all involved for another amazing event that pays homage to London’s maritime past and provides opportunities for young people to undertake adventures of a lifetime. Earlier I joined the thousands of people in Island Gardens and at vantage points at the bottom of the Island to watch the spectacular Parade of Sail which was the final element of the Rendez-Vous 2017 Tall Ships Regatta in Greenwich & Woolwich and Tall Ships Festival. 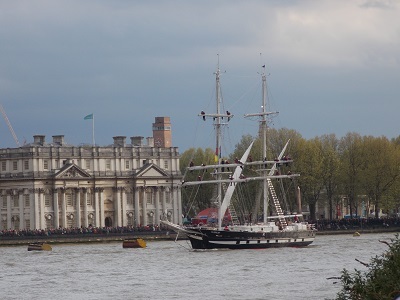 Locals and visitors lined the riverfront to watch the whole fleet of 30 Tall Ships congregate and then set off from Greenwich to carry onto the next stage of their journey which for many of the ships will be Sines in Portugal. On board some of the ships will 50 Tall Ships Sail Trainees, local young people who will help crew the ships en route to Portugal over 15 nights. 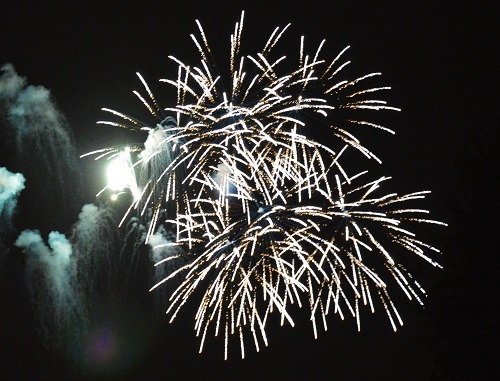 Over the last few days, thousands of people have enjoyed the various entertainments in the festival culminating in spectacular firework displays. 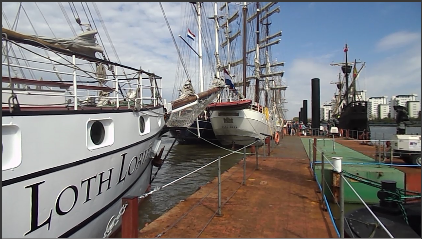 It is estimated over 10,000 visitors managed to get on board some of the Tall ships during the weekend. 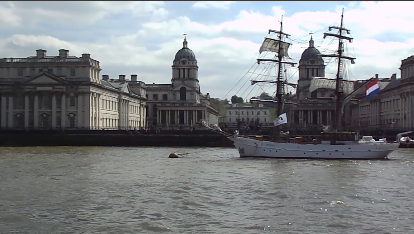 Watching the various Tall Ships sailing in front of Greenwich, it was easy to let your mind wander to the past, when the river was crowded with all manner of vessels. In another nod to the past, The Queen has written a letter to the people of Canada which will be delivered on board vessels taking part in the Rendez-Vous 2017 Tall Ships Regatta. 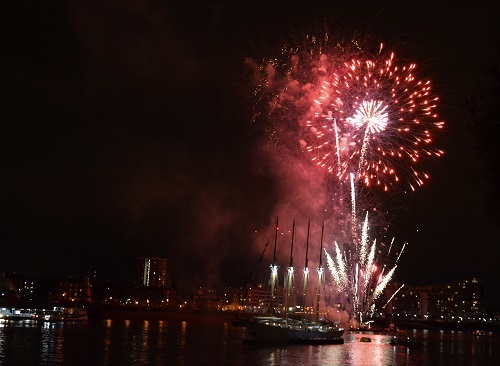 The personal message will be carried onboard the Tall Ships taking part in the Regatta from the Royal Borough of Greenwich to Quebec to celebrate the 150th anniversary of the Canadian Federation. A scroll containing the letter was handed over to Captain Jurgens Hanekom of the Wylde Swan this morning. 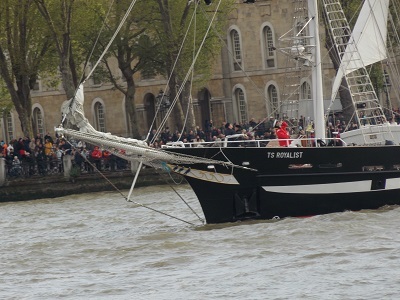 Fortunately we do have regular Tall Ship visitors to to provide interest but to see some many Tall Ships in one place is a rare treat that was enjoyed by thousands of people on both sides of the river. 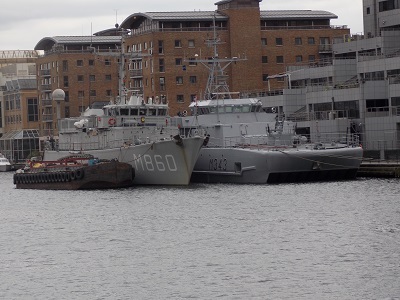 Whilst much of the recent ship attention has been on the tall ships, three NATO ships have arrived at West India Dock. 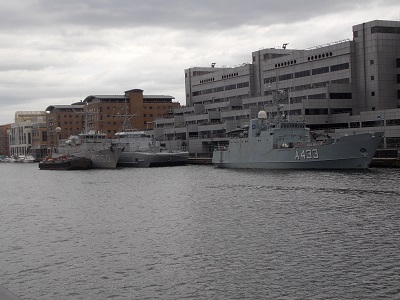 The arrival of the Estonian Navy Ship EML Wambola (A433) ,Norwegian Navy ship Hinnøy (M343) and the Dutch Navy Ship Schiedam (M860) came as a bit of a surprise, but for security reasons, the visits tend to be low key. 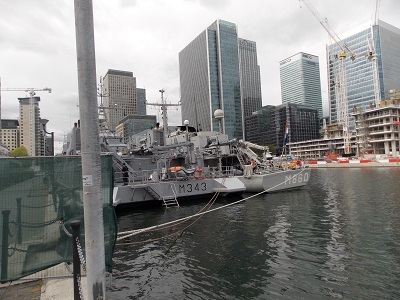 The ships are part of the Standing NATO Mine Counter-Measures Group ONE (SNMCMG1). 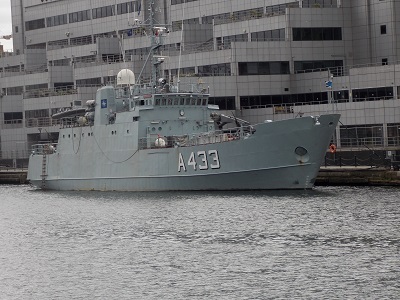 These particular ships regularly take part in NATO exercises and the SNMCMG1 ships and crew have been engaged in port visits and mine clearance operations in order to contribute to NATO collective defence and regional security. 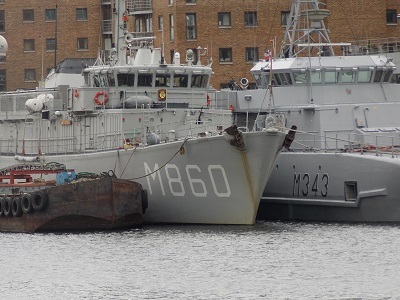 The Norwegian Navy ship Hinnøy (M343) and the Dutch Navy Ship Schiedam (M860), last visited West India Dock in November 2015. 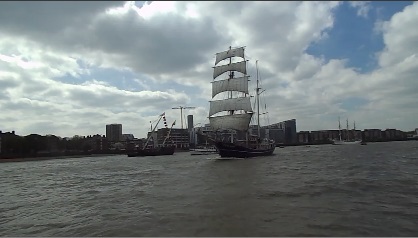 On the eve of the Rendez-Vous 2017 Tall Ships Regatta, I was fortunate to be invited to take a trip on one of the Tall Ships on the Thames from Woolwich to Greenwich. 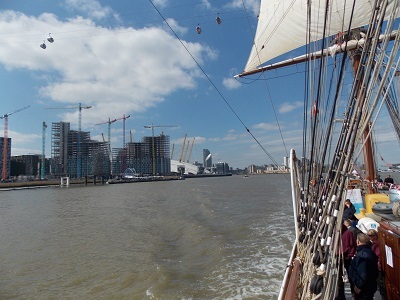 Whilst I have seen a lot of Tall Ships in West India Dock and at Greenwich and occasionally been on board to have a look around, actually sailing on a ship down the Thames was to be novel experience. 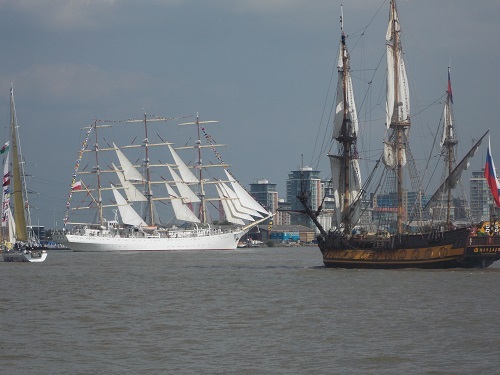 Many of the Tall Ships for the Regatta are berthed at Woolwich and provide a wonderful sight that is perhaps a reminder of past especially in the West India and East India Docks. 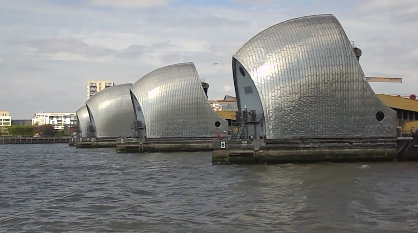 Travelling down the river offers a very different perspective on familiar sights and after passing the Thames Barrier, I began to scan the riverside for familiar landmarks. Not surprisingly, the lighthouse at Trinity Buoy Wharf grabbed my attention before we approached the O2 and the Emirates Airline cable car overhead. 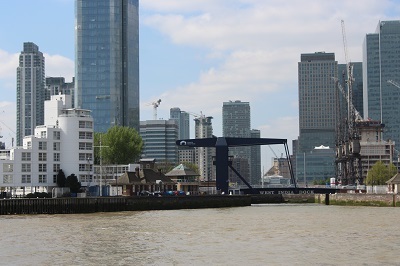 The familiar skyline of Canary Wharf dominated the next stretch but I was surprised how the familiar buildings on the riverfront took on a completely different aspect, even the Blue Bridge which is the entrance to West India Dock looked quite small from the river. 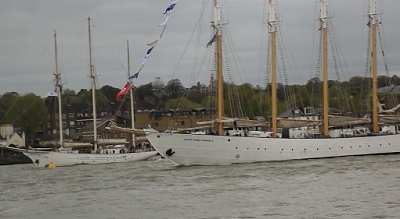 Travelling around the bends of the river, new viewpoints appeared quickly until the stately outline of Greenwich came into view and the masts of the Cutty Sark. 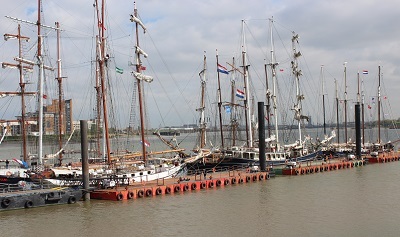 With a number of Tall Ships in the river at this point, you did not need a lot of imagination to go back in time when the river was full of ships of all descriptions. It was not just the views that takes your interest, watching the crew bringing down the sails and carrying out various duties gives a little insight into how much work will be involved sailing one of these ships across the Atlantic. 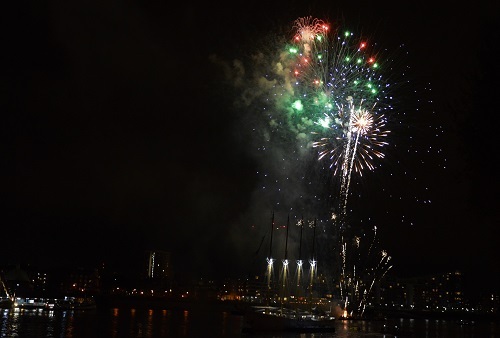 Which is the destination of many of the boats after the Regatta in Greenwich and Woolwich, the regatta, organised by Sail Training International, will sail from Greenwich to Quebec in Canada, to mark the 150th anniversary of the Canadian Confederation. A fleet of over 30 large Class A and B Tall Ships will sail for Canada via Sines in Portugal, Bermuda and Boston. 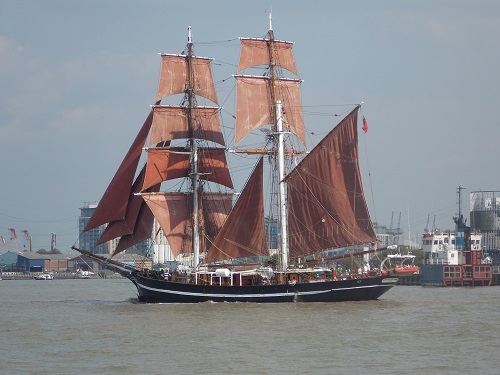 If you are in London and would a trip down the Thames on a Tall Ship, some cruises will be available over the weekend or you visit some ships which will be open for visitors to get on board to look around and talk to the crew. 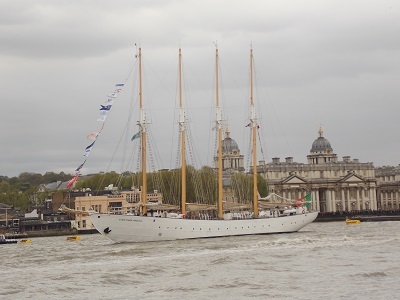 Two Tall Ships festival villages are open at the Maritime Greenwich UNESCO World Heritage Site in Greenwich town centre, and the Royal Arsenal riverside in Woolwich. 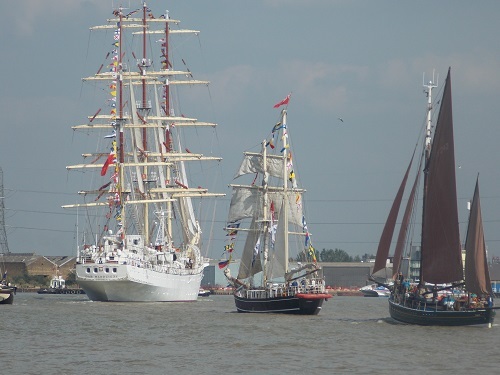 The most spectacular part of the Regatta will take place on Sunday when the huge Parade of Sail starts at 5pm from Deptford Creek, during the Parade of Sail, the whole Tall Ships fleet will sail together down the Thames to the sea, before crossing the Atlantic and arriving in Quebec on 18 July 2017. In an exciting few weeks for the Island, we will have two major events on our doorstep. 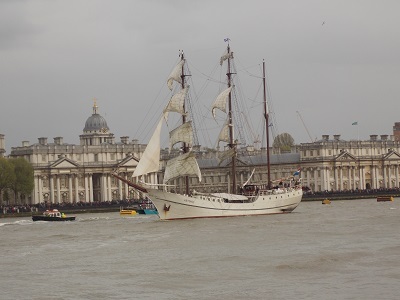 Later in the month is the London Marathon, but next week is a Tall Ships Regatta at Greenwich. 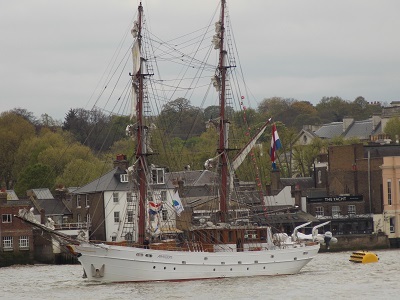 Over the Easter weekend, Greenwich will host the start of the Rendez-Vous 2017 Tall Ships Regatta. The regatta, organised by Sail Training International, will sail from Greenwich to Quebec in Canada, to mark the 150th anniversary of the Canadian Confederation. 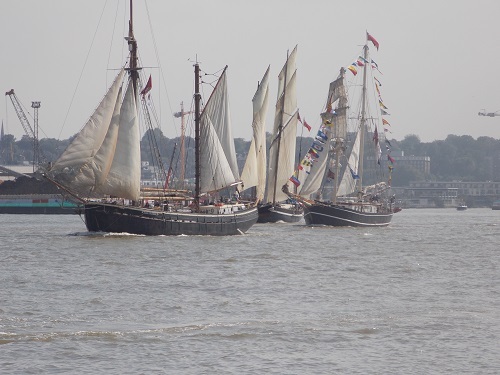 The fleet of over 30 large Class A and B Tall Ships will gather for four days on the River Thames at Greenwich and Woolwich before setting sail for Canada via Sines in Portugal, Bermuda and Boston. 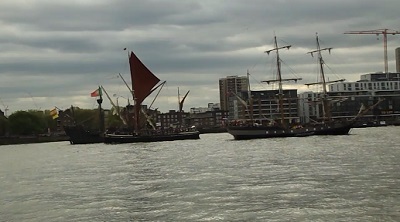 The ships will be anchored in the Thames alongside two Tall Ships festival villages. 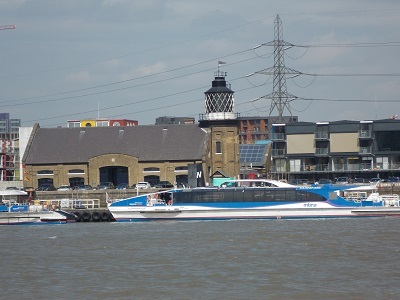 These will be located at the Maritime Greenwich in Greenwich town centre, and the Royal Arsenal riverside in Woolwich. In the festival villages, there will be food stalls serving street foods and drinks will be available at bars at each of the Festival sites. 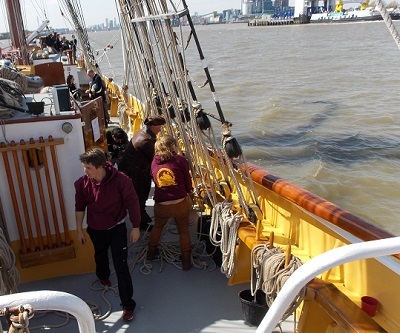 Some ships will be open for visitors to get on board to look around and talk to the crew and visitors can buy tickets to enjoy a cruise on the Tall Ships on the Thames to Tower Bridge and back. 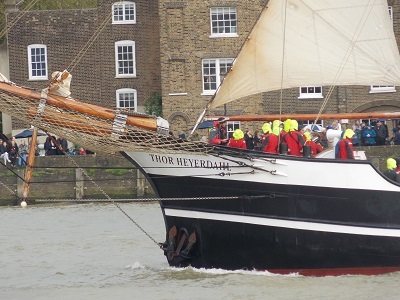 There will plenty of maritime entertainment and live music from Thursday 13 April to Sunday 16 April, before the huge Parade of Sail starting at 5pm from Deptford Creek on Sunday 16 April. During the Parade of Sail, the whole Tall Ships fleet will sail together down the Thames to the sea, before crossing the Atlantic and arriving in Quebec on 18 July 2017. Watching the tall ships is always a fantastic sight and I will be out and about bringing you some stories and articles from the Regatta.